Benitto's sire was mated to a girl that I had previously exported to assist with this beautiful breed overseas. So it is with so much pleasure and excitement for the future that we bring Benitto to Australia. Ben has undoubtedly added to our already researched breeding program and whilst we have not been breeding or exhibiting for a while, 2015 will see us back in the ring exhibiting both a lagotto and a goldie hopefully! Ben is a solid, strong boy, conforming to the breed standard. 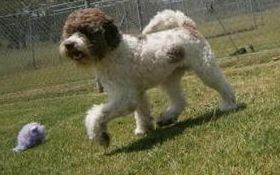 Excellent scissor bite, tight curly coat to go with his strong conformation, we are so blessed to have had him as part of the future lagotto in Australia and as part of our very small family. 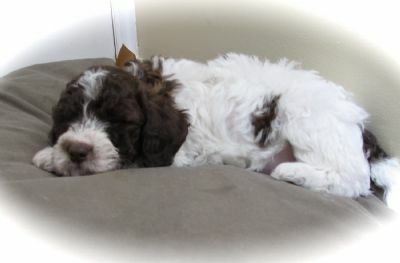 Beni has produced several outstanding litters - all but one have gone to family homes as loving pets. We have kept one girl who we may decide to show later this year.